Okari Banton might not look like one, however the software developer at JN General Insurance Company (JNGI) is a revolutionary. The computer programmer took the lead in the automation of JNGI’s funds reconciliation process with its insurance broker partners. 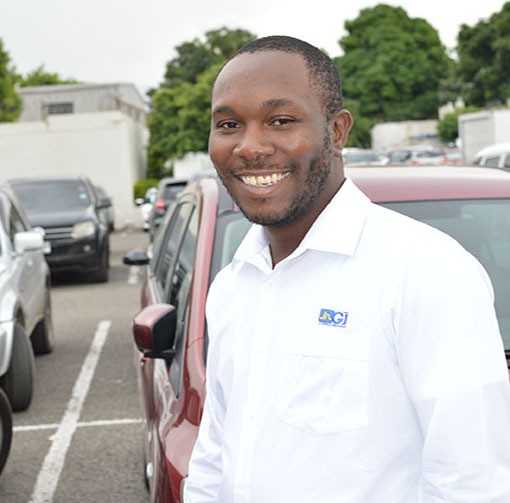 Named employee of the quarter for his efforts, Banton pointed out that this automation is part of the ongoing transformation companies must undertake, to improve their efficiency. He explained that the challenge most general insurers’ face is that, the policies they write, through their network of brokers, are usually received towards the end of the month, rather than in a steady stream. One inspiration for him was a presentation at the Tech Beach Retreat, in Montego Bay last November, where it was pointed out that, increased automation has led to new jobs and higher value creation, as it frees team members from doing more basic tasks.